. 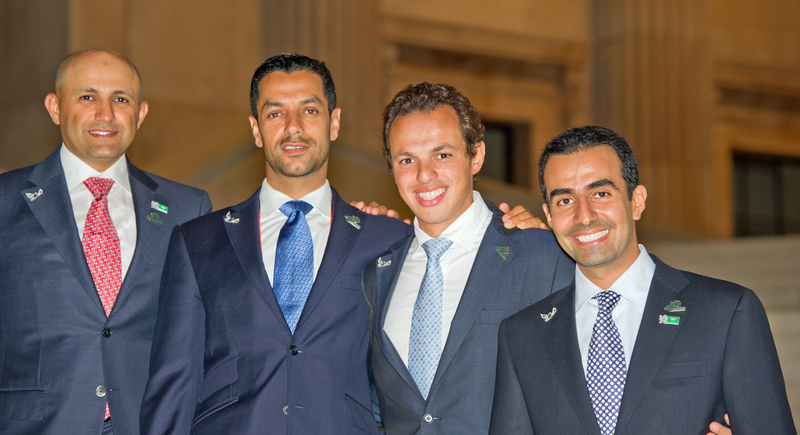 :: SAUDI EQUESTRIAN TEAM MEMBERS READY FOR LONDON 2012 ::. Members of the Saudi Equestrian Show Jumping Team qualified for the 30th Olympic Games “London 2012. Ramzi Al Duhami, Kamal Bahamdan, Abdullah Al Sharbatly & HRH Prince Abdullah bin Miteb Al Saud were present at a Ramadan Iftar (breakfast) on the evening of Wednesday 01 August hosted by HRH Prince Mohammed bin Nawaf Al Saud Ambassador of the Kingdom of Saudi Arabia, and HRH Prince Nawaf bin Faisal bin Fahad bin Abdulaziz, the Head of the Saudi Arabian Delegation to the 30th Olympic Games “London 2012”, President of the Saudi Arabian Olympic Committee, IOC Member and President General of Youth Welfare. Other competing Saudi athletes also attended and the Iftar was preceded by a private viewing of the special British Museum Exhibition ‘The Horse: from Arabia to Royal Ascot’ supported by the Saudi Equestrian Fund (runs to 30 September, 2012). The four Saudi Equestrian riders are pictured in the British Museum Great Hall on the steps leading to the Horse Exhibition. Picture from left: Ramzi Al Duhami, Kamal Bahamdan, Abdullah Al Sharbatly & HRH Prince Abdullah bin Miteb Al Saud.